A Hochrad Christmas Carol – Ausverkauft! On Monday morning the classes 7 a and c started a trip back to the Medieval Ages. Our destination was Lüneburg, the city in Lower Saxony. We took a train from the Hamburg Central Station and just half an hour later we were … in the past! 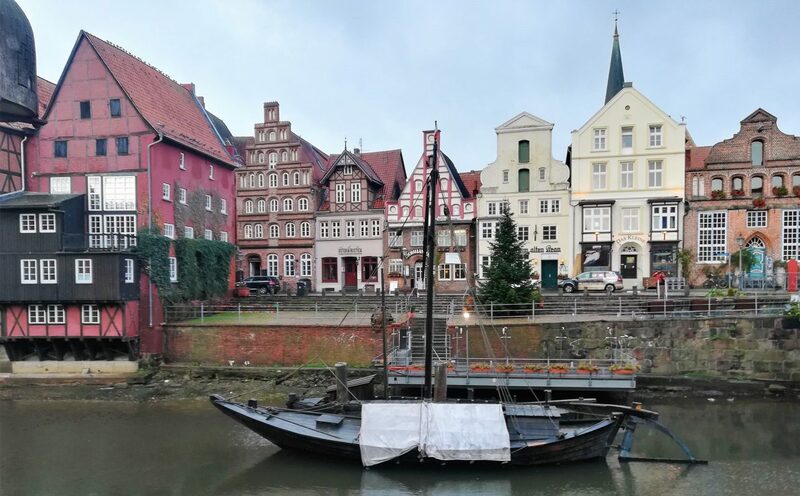 Our city-guide explained us the history of Lüneburg and then it was time for a historical scavenger hunt, in which we learned even more about Lüneburg’s past. Lüneburg was a member of the Hanseatic League and wealthy because of the salt trade. 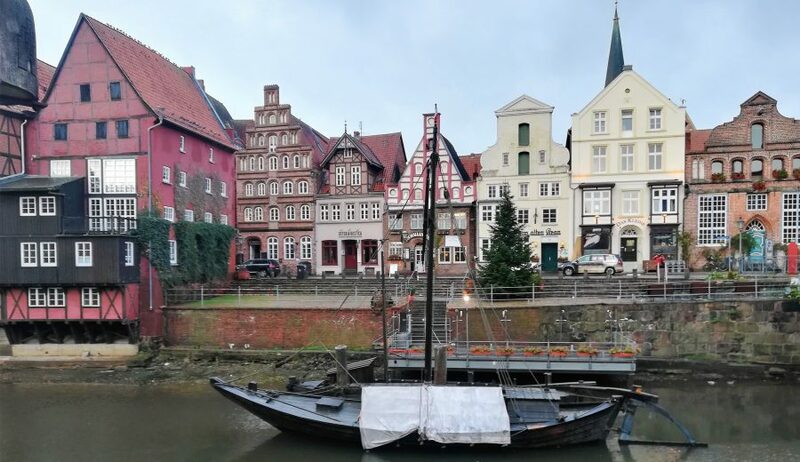 The city survived the World War II completely intact so we could see many nice brick houses and other monuments from the Medieval Ages – including an original old crane at the river port or the old church, whose entry was made out of old grave stones. Very interesting was the water tower, which they used as a water storage, but only for wealthy people. In the Medieval Ages the clear water was very valuable so people drank beer to not get infections (boiling water and alcohol killed the germs). After the sightseeing we enjoyed the Christmas pastry and a beautiful atmosphere at Lüneburg’s Christmas Market!